Made for skipping through sunshiny days, these colourful shorts are cut from lightweight cotton dobby for assured breeziness. 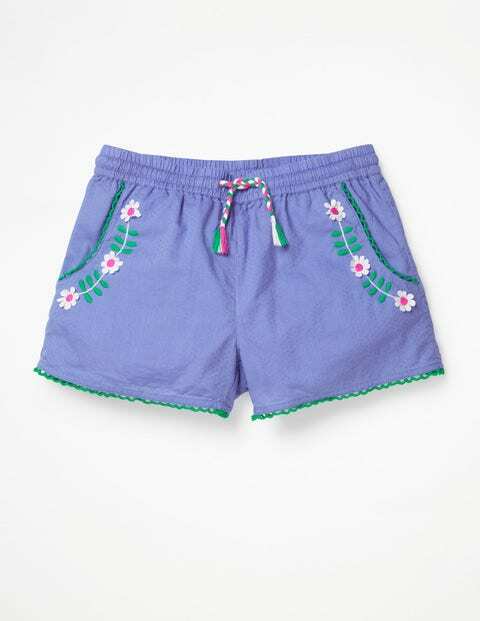 An elasticated waistband makes them super easy to wear and intricate floral embroidery adds some serious flower power. Playful tassels on the plaited drawstring combined with the delicate circle trim deliver ultra-summery vibes.